And again, Krakow as the city has surprised me so nicely… You do not need to go to Munich, London, Paris or Berlin. There is a beautiful Christmas Market there. With so many nice stalls full of Polish specialities like: pierogi, sausages, cheese, soups but also handmade regional products. 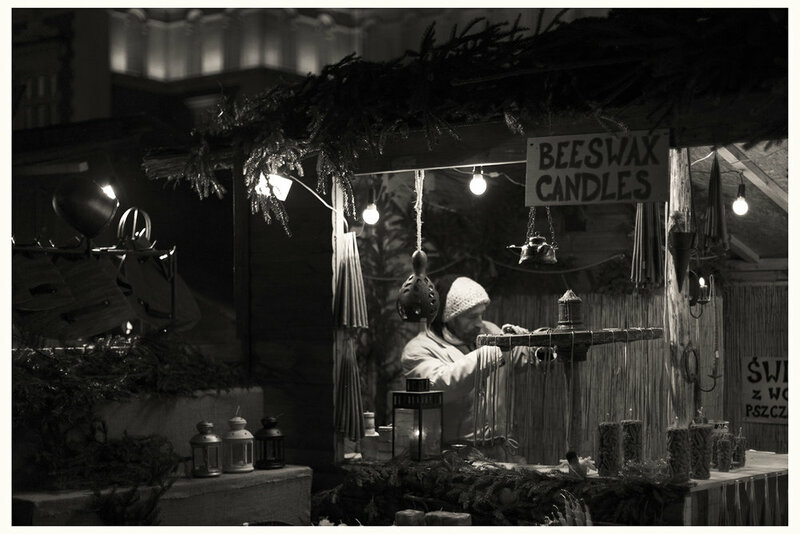 You can also buy some amazing black and white photo prints from Lue Lue Gallery stall. You should really try some food and mulled wine (but not too much, believe me ;-) It was fairly difficult to walk around as the market was full of foreign tourists as well as the locals; who strolled along the market on the way back home. What must be noted, the weather was nasty as the winter is coming; cold wind and snow. Despite it, the atmosphere was amazing… for sure will come back there again. The reason I am writing this is to bring your attention to the beauty of this Magical Place. The market has caused so many great photo opportunities and again I noticed many people walking around with cameras “attached” to their eyes not mentioning these ones with smartphones in their hands (with or without gloves on). If you are reading this blog somewhere in the world, please share it. Please tell the others about this Magical Place which has so much to offer not only to photographers. Also, let me know what you think about the Blog, photographs. Be honest. I am open for the feedback. Revisit my blog soon as I will be posting more in coming days. Till the next time, stay sharp and keep photographing. 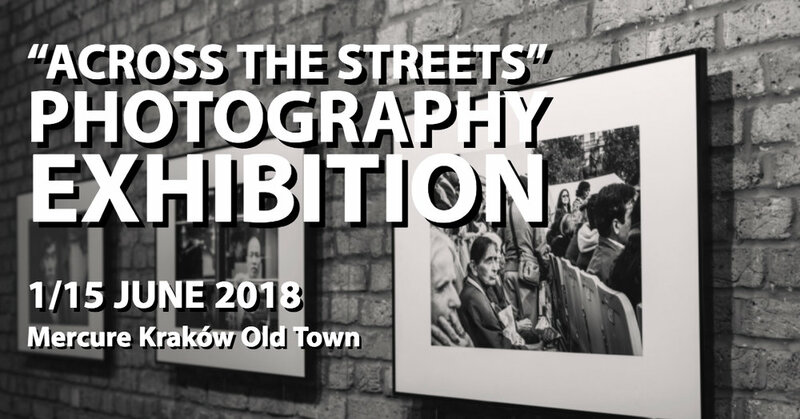 When walking around Streets of Kraków, along the River Vistula in Kazimierz; the Old Jewish District or in the vicinity of the Old Town with my camera on my neck, I have been thinking (but not too much, to be honest) what my life would be without the Photography that I love so much? What I would be doing instead? Where would I direct my passion, how I would spend my spare time? Thank God, the beauty of Kraków that as the city has changed so much over last years, appeared to be more interesting than my thoughts about my life without photography. I really was not aware that the Streets of Krakow can offer so much for us; the Photographers. Early evenings offer so much, the lightings, the pedestrians, monuments and even pigeons that appear from nowhere. Also the people of Kraków are so nice and open to Photographers; wait for you to capture the scene, smile at you, accept them in the streets. This week, I attended the PhotoTuesday event organised by Fotografia Kraków. What a great bunch of people, passionates of photography. Real artists mainly of Landscape Photography. Really talented and open people. I honestly cannot wait for the next year Photography Month organised by The Foundation for Visual Arts. Check out their website for more information. I think you will all agree with me that Kraków is the City of Photographers.